Pesticide doesn’t just refer to the stuff you spray on plants or mosquitoes, there are plenty of natural pesticides which exist in plants too. We fear anything that’s synthetic because we assume that it’s “bad for us”, but there’s plenty of stuff that’s “natural” that can be harmful at a certain dose. 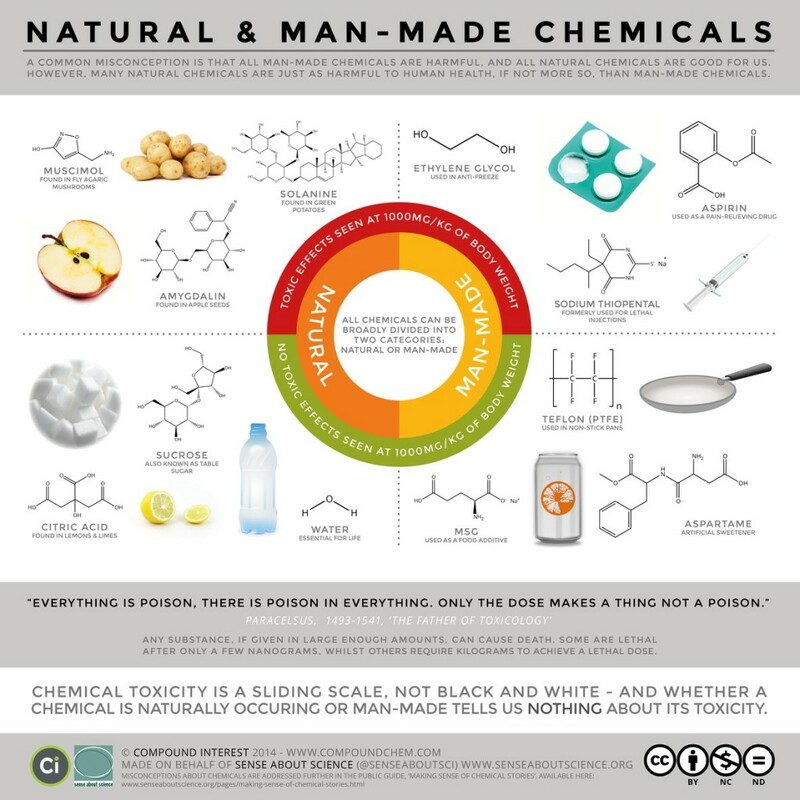 Chemical toxicity is a sliding scale — whether a chemical is man-made or natural tells us nothing about its toxicity. Plants and animals have evolved mechanisms to fight against their predators. Some of them are mechanical, like thorns or spines on a puffer fish, but some are chemical in nature. As a result, our food is full of natural pesticides and toxins. It’s important not to let the term “pesticide” confuse you. We’re used to thinking of pesticides as the stuff we spray on plants or around our house to get rid of bugs. But the term “pesticide” is much broader than that: it’s any substance that gets rid of or repels a pest. The term encompasses many different -cides: herbicides (to get rid of plants), fungicide (to get rid of fungi), insecticides (to get rid of insects), etc. A natural pesticide can be toxic to the pest that its evolved to target, so I use the term “toxin” in this piece as well. One of the more common natural pesticides that we ingest is solanine. This compound is present in different parts of the potato plant, which is a member of the nightshade family of plants. This paper from Lancet published in 1979 states that potatoes have small amounts of solanine in the peel and none in the flesh, but when the potato starts to green or sprout (i.e. the ‘eyes’ start growing), then the amount increases significantly. 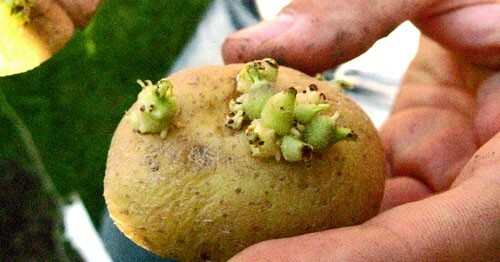 Solanine levels also increase in potatoes when they’re diseased, such as with the blight, and is probably part of the plant’s defense system. The Lancet paper documents several cases of solanine poisoning from eating potatoes, but they were not typical cases (for example, individuals may have been malnourished). Current guidelines from the NIH state that eating solanine in very small amounts can be toxic and recommends throwing out spoiled potatoes or those that are green below the skin. But solanine is just the tip of the iceberg when it comes to natural pesticides. This paper suggests that caffeine inhibits insects from eating the plant. It “appears to suppress certain enzymes in insect nervous systems“. Attempts have been made at making a caffeine-based agricultural pesticide with mixed results. Also present in the nightshade family of plants, nicotine is one of the very first agricultural pesticides developed, particularly because it is “toxic to most herbivores”. It was phased out of farming in the US as of 2014. It’s what makes peppers hot. Does it really surprise you that it’s a natural pesticide? What animal in its right mind would want to punish itself by eating terribly spicy foods? Well, Homo sapiens do. The first pesticide containing capsaicin was registered with the EPA in 1962. 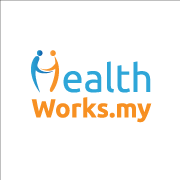 As you know, it’s an irritant to most mammals, but it can also repel or kill insects. A pesticide found in corn, wheat, rye and other grasses. It is released in these plants when a tissue is damaged and it’s toxic to a wide range of insects and bacteria. Tetradecanoic acid in nutmeg has been tested as a potential larvicide against the yellow fever mosquito. Pulegone in peppermint and catnip has been found to be a potent insecticide. Carvacrol in oregano and thyme has antibacterial properties by making the cell membrane of bacteria permeable, including E. coli. Eugenol in cloves, nutmeg, basil and others is used as a bait in many pesticides, data suggests that it can also cause liver damage. The list is very long. In 1990, Bruce Ames published a paper entitled “Dietary pesticides (99.99 percent all natural)”. In it, he and his coauthors outline that we eat an estimated 1.5 grams of natural pesticides a day, “which is about 10,000 times more” than the amount of synthetic pesticide residues we consume. This amount would be significantly higher in vegetarians and vegans. As an example, the authors provide a list of 49 different pesticides found in cabbage alone. The concentrations of these pesticides are in parts per thousand or parts per million, whereas the amount of synthetic pesticides we find on our food are in the parts per billion range. Despite the vast amount of toxins in our diet, only a handful of these have ever been tested (note that the paper was written in 1990, but the point still stands). Of all the chemicals tested for chronic cancer tests in animals, only 5 percent have been natural pesticides and half of these were carcinogenic. While there’s an uproar about parts per billion amounts of synthetic pesticide residues on our food, there are more concentrated compounds in fruits and veggies actually known to cause cancer. 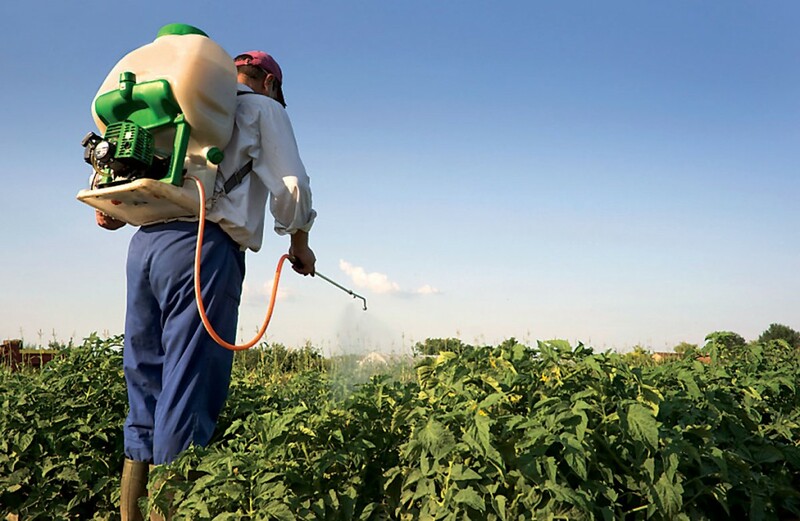 In addition, some of the more commonly used pesticides in agriculture have mechanisms of action that are specific to the pests they’re targeting, making them far safer than many natural pesticides, which is one reason they’ve gained popularity in the past half century. For example, glyphosate, which is often paired with herbicide-resistant GMO crops, shuts down a biochemical pathway in plants that simply doesn’t exist in mammals. In contrast many of the natural toxins found in plants can be harmful to mammals. Yet we’re far more concerned about glyphosate residues than we are about natural formaldehyde in pears. Check out the graphic below that highlights this point: we fear anything that’s synthetic because we assume that it’s “bad for us”, but there’s plenty of stuff that’s “natural” that can be harmful at a certain dose. I’ve read a lot of arguments from anti-GMO groups about how transgenic crops that have the Bt-toxin will kill us all, because it’s a registered pesticide with the EPA. “Do you want to eat something that’s a pesticide?” is what I’ve read time and time again. But as I’ve noted above there are plenty of “natural chemicals” that are registered pesticides, but no one seems to be freaking out about basil and mustard seeds. The final point that I want to highlight is that the cross-breeding and “natural” hybridizations we’ve been doing for centuries has undoubtedly impacted the levels of some of these natural pesticides by unknown amounts because no one examines them. Going back to solanine, in the ’60s a new strain of potato known as the“Lenape” potato was developed through “natural” methods, but was found to be toxic due to increased levels of solanine: it had ~2-4x the amount of solanine found in other potato varieties and it had to be pulled off the shelves. But no one seems to be making noise about “unintended consequences” of traditional crossbreeding. This should be a nuanced discussion. Just because an agricultural pesticide has a benign toxic profile does not mean that we shouldn’t try to minimize its use when possible. Just because a transgene for a natural pesticide added to a crop has no impact on mammals does not mean that we should not study its impact on the environment. Yet we shouldn’t consider our food to be “unsafe” or shun traditional farming practices because of the use of synthetic pesticides. Remember: it’s all in the dose. Have a question? Leave them in the comments section below and we’ll try our best to answer them!